Pets are family. 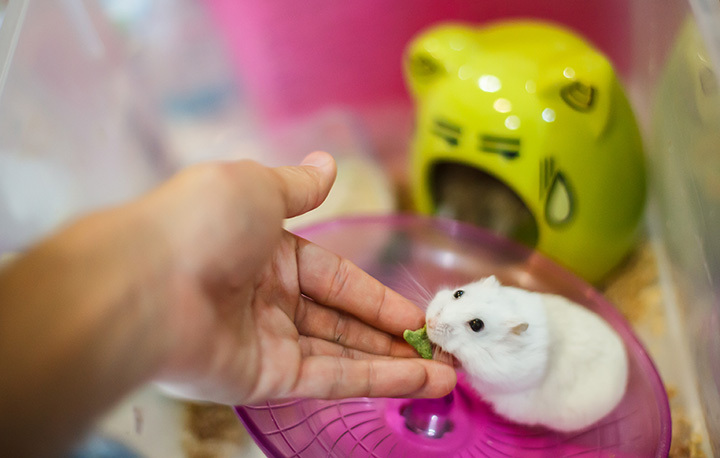 You want to give them food that’s good for their diet, reward them with toys, and buy them treats. Kentucky’s pet stores provide your four-legged friends with just that. Here are our favorites in the state! Helpful and trustworthy care for your pets is what you’ll find at Bluegrass Barkery. This family owned business takes great pride in recommending quality products and working with you to find ways to improve the life of your pet. They offer products that are healthy alternatives to what other stores carry and have nutritional information that’s free. Looking for a great place to help your furry friend have a happy healthy life? Look no further than Barkstown Road, one of Louisville’s leading pet stores. Determined to provide products and suggestions that will keep your pet out of the vet’s office and living a great life, they’ll work with you to establish a food plan that’s perfect for your dog or cat. Your dog will be howling with delight when you stop by Calhoun’s Pet Store and bring home a treat or special toy. The friendly folks at Calhoun’s know how to care for animals and are happy to answer any questions you have. They also have a grooming station and pet wash.
You’ll find some of the best prices around at LuLu’s Pet Pantry in Burlington. They have a nice variety of treats for your dog or cat, and their toy selection can’t be beat. They keep track of your purchase history in case you forget, and are very helpful in making recommendations specifically for your pet. Your pet will be happy when you come home with homemade treats. If you don’t have time to get to the store, the store can come to you. Simply place your order by phone and Pet Wants will deliver right to your door. Using all natural and healthy ingredients, food is guaranteed to be fresh and wholesome. They also carry a good selection of gluten-free and grain-free foods for pets with allergies. No matter what type of pet you have, JH Fedders has the food and supplies you need. This full-service feed and seed store carries products for dogs, cats, horses, birds, lizards, fish, and livestock. They also carry a great selection of hunting supplies, mulch, straw, and more. You’ve found a one-stop shop at K&M Feed Pet Track in Alexandria. Besides products and feed for just about any animal, you can bring your dog to the self-serve dog wash and have him smelling fresh as a daisy. Great prices on pet foods and other items. They also have a nice gift shop for that last-minute gift. With a mission to help pet owners love and care for their pets, Gabbi’s is a pet boutique that caters to critters. Great customer service is one of the trademarks here, and you can get your questions on pet care answered by people who know. They offer training classes for your dog on basic good behavior and fun classes because you really can teach an old dog new tricks. This small family owned pet store in Shepherdsville is a no-frills source for all your large or small pet needs. They’ll take all the guess work out of finding the right food for your pet. Conveniently located for in-store shopping or online ordering. When you need stuff for your dog or cat, think Bentley’s. Understanding the importance of choosing the right food for your pet, Bentley’s Pet Stuff doesn’t use corn, wheat or soy fillers, chemical preservatives, or other unnecessary by-products to the food they sell. Natural treats and toys are available at reasonable costs.